Another effort to combat the problem of leftovers is to repackage items that you buy into smaller sizes. In this case, I wrapped pork chops from a larger package individually. When it’s time to cook, I can take out what I need. This is an easy, inexpensive recipe for two that is quick to prepare. Heat oil in a small skillet over medium high heat. Season pork on both sides with salt and pepper. 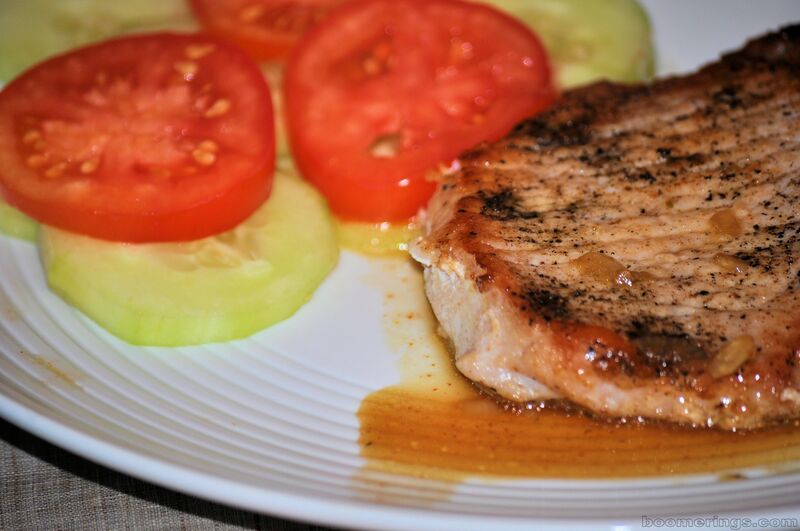 Cook pork chops until browned on both sides. 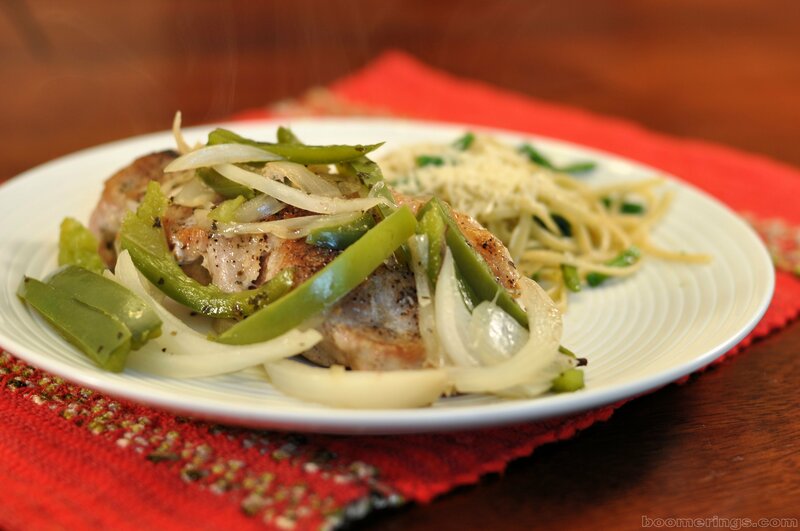 Top chops with green pepper, onion and basil. Cover skillet, reduce heat and cook until vegetables are tender and pork is cooked through.